Our vision at Rancho Cielo is to transform the lives of at-risk youth and empower them to become accountable, competent, productive and responsible citizens. We serve 150 students daily between the ages of 16 and 24, from low income, at-risk backgrounds. 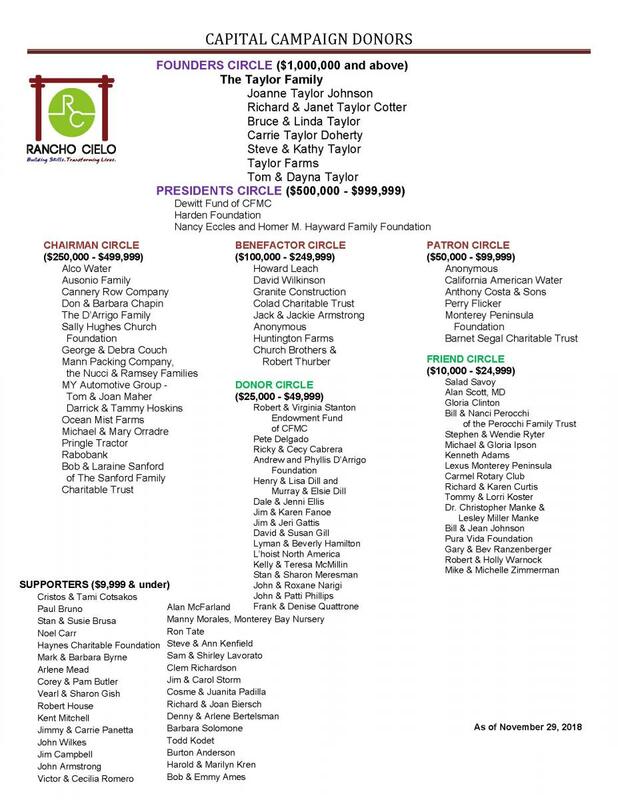 Become a Rancho Cielo Sponsor.